This intense exfoliating cream completely smoothes skin with an exclusive formula that combines two actions: first, when applied to the skin enzymes stimulate the natural skin renewal process, and then when massaged into the skin micro-particles polish the surface of the skin. Skin is refined and the complexion regains its radiance. 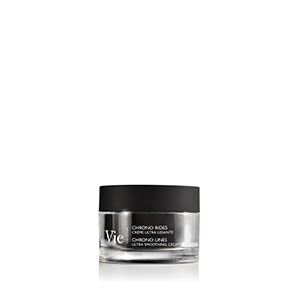 Offers an enzymatic exfoliation for a peel effect. Exfoliate the skin in a mechanical way for a microdermabrasion effect. *Satisfaction test on 22 volunteers, after 1 application. An unctuous cream enriched with exfoliating micro-particles, to massage with criss-cross movements then to leave on the skin for a few minutes for a maximized effectiveness.